Sis. 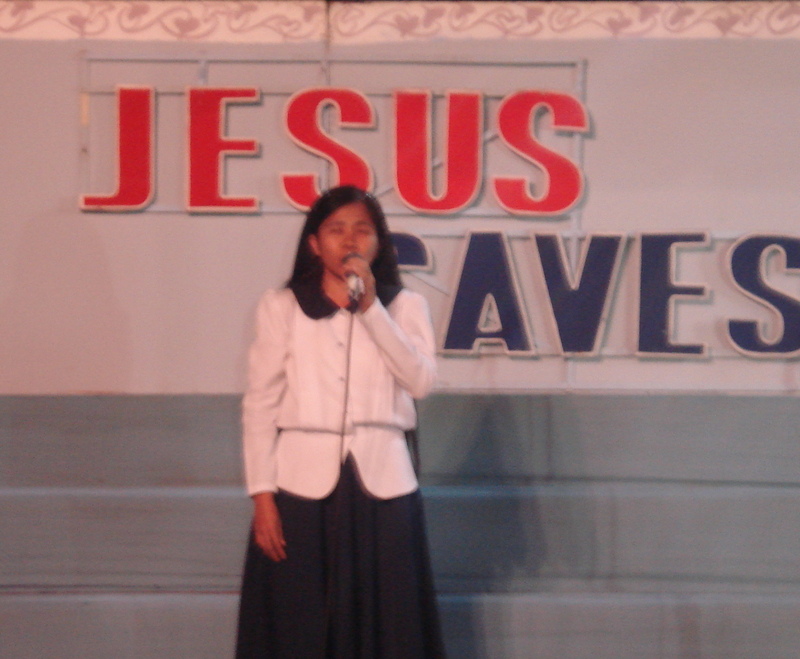 Milagros Ricaro (in her Singles Choir uniform) testifying during Friday overnight worship service at Amoranto Stadium, Nov. 26, 2010. Sis. 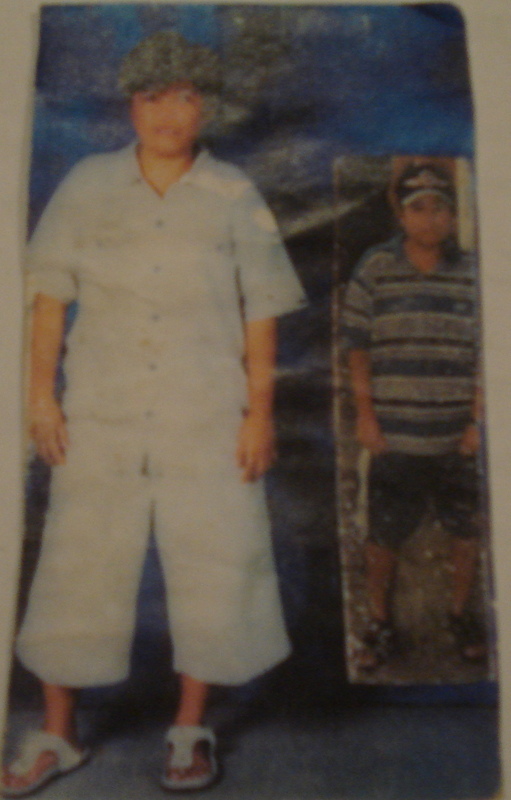 Milagros Ricaro was a tomboy since early childhood. She grew up hanging out with her brothers playing basketball and pool. From elementary to high school, she became active in sports, especially basketball. She learned to engage in vices like drinking alcohol and smoking cigarettes, and joined her father and brothers in drinking sessions . She had a man’s heart. Old photos of Sis. Milagros depicting her life before she came to know the Lord. Soon, she took a girl and lived with her. Both their respective families were all against it, but they couldn’t do anything. Sis. Milagros and her girlfriend lived together for ten years. Her calling came when she became sick of a heart ailment, high blood pressure and urinary tract infection. She sought the help of medical doctors, “quack” doctors, and faith healers, but she did not get well from her diseases. One day in 2001, she opened the TV and saw the program of the JESUS MIRACLE CRUSADE INTERNATIONAL MINISTRY. Desperate to find healing, she attended the worship service of JMCIM. She received Jesus Christ as her Lord and Savior and was baptized in water in Jesus’ name. When she came out of the water, Sis. Milagros felt in her whole being that she was completely changed! When she arrived home, she told her live-in partner that she was “born-again”. That night, she dreamed of the Lord telling her to return the girl to her family. Not wanting to hurt her partner’s feelings, Sis. Milagros prayed to the Lord to make a way that she and her girlfriend separate amicably. The girl left and Sis. Milagros started a new and holy life with the guidance of the Lord. Her diseases were healed and she forsook all her vices. She surrendered her life to dearest Jesus and continues to serve Him fervently to this day. She sings in the Singles Choir, assists in Bible Study groups, goes out to share the Gospel, and regularly offers fasting and prayer for the salvation of souls. She also prayed for and helped her former girlfriend get back on her feet. The girl soon got married and had a family of her own.